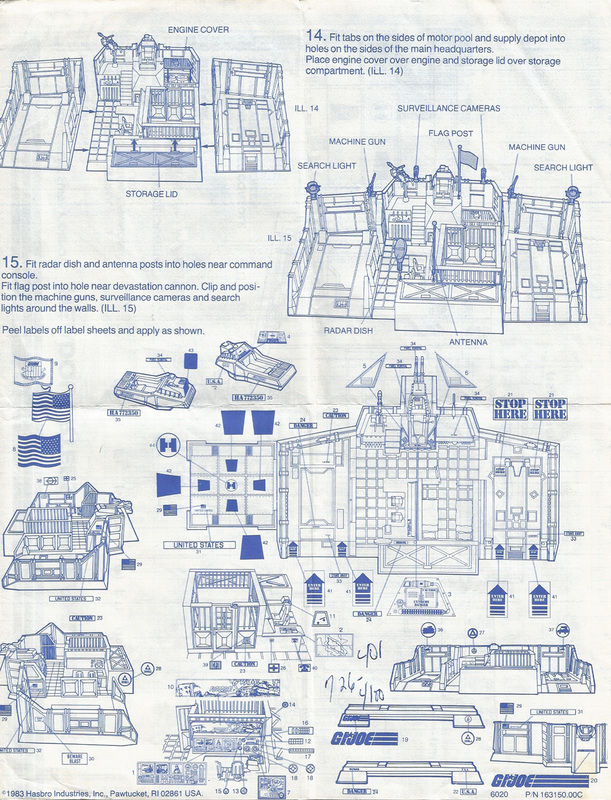 The Headquarters Command Center has excellent product photos and diagrammatic illustrations on the box sides. 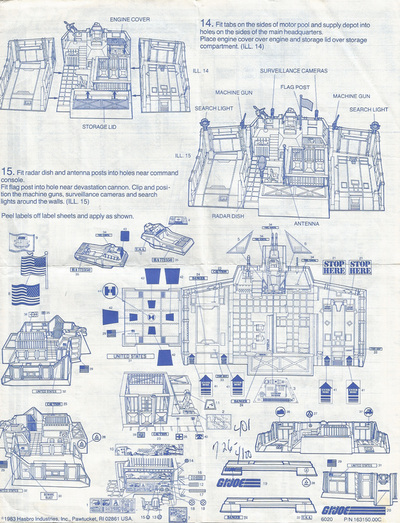 This is a pretty big play-set, which breaks into four sections. Motor pool (with movable mechanic's lift). 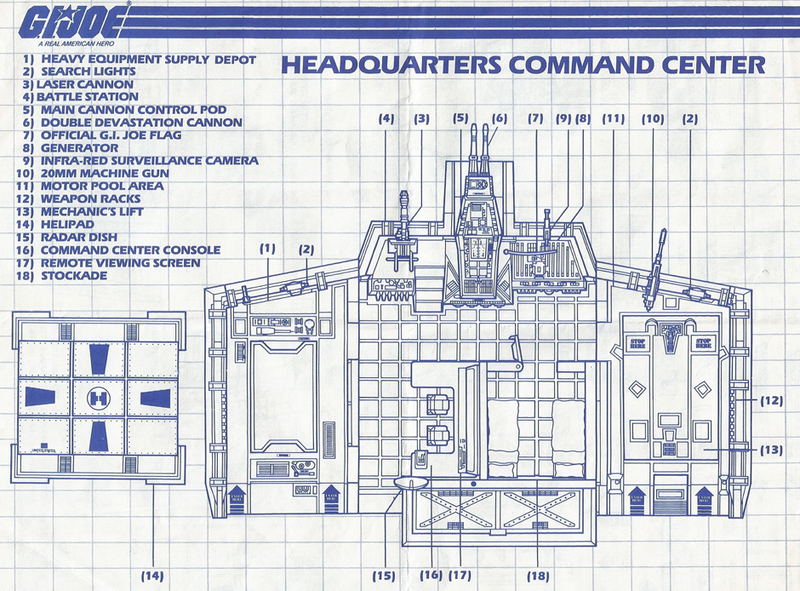 These product photos from the back of the box show off the many features of the Headquarters Command Center. 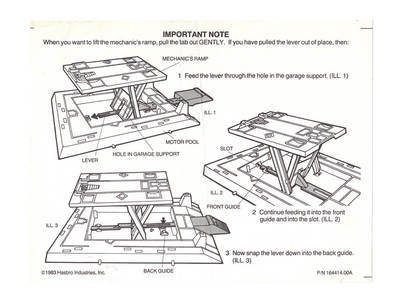 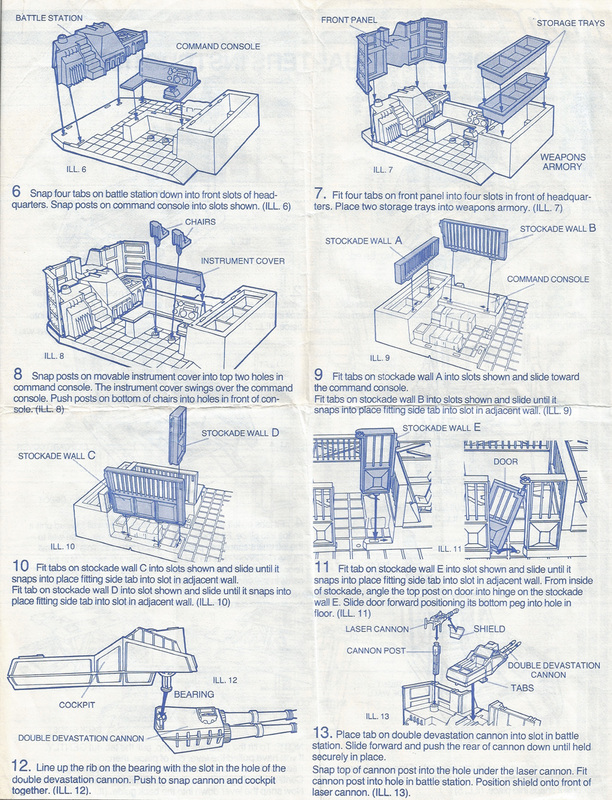 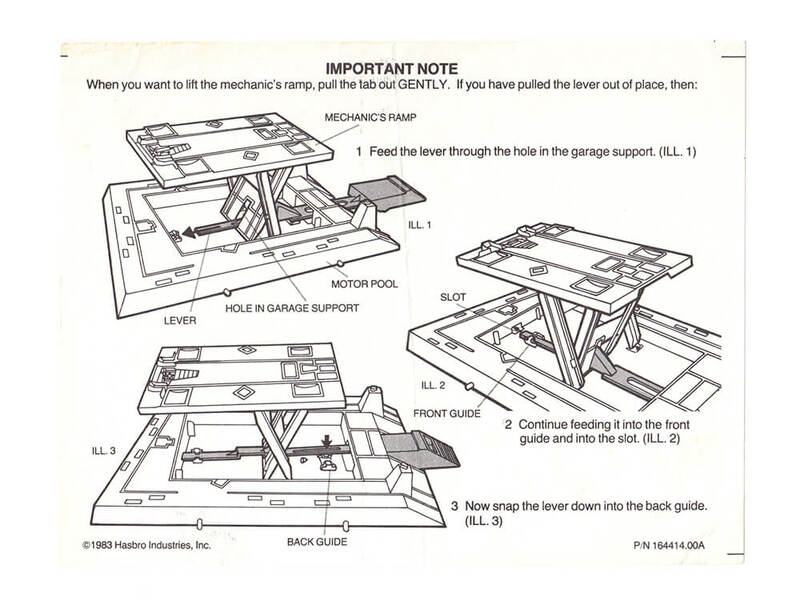 Instructions page 4 (bonus sheet explains how to repair the mechanic's ramp). 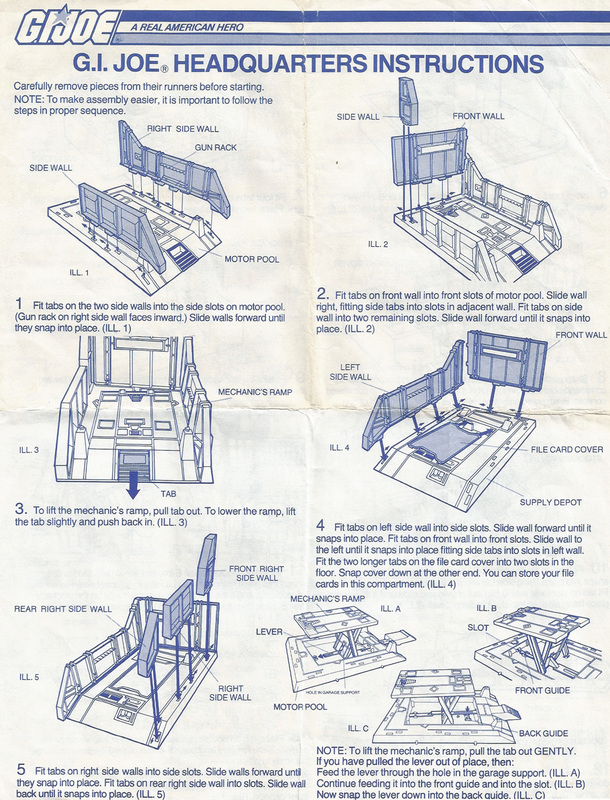 Scan courtesy of Chad Hucal.